Commercial Excellence & Experience is collaborating with clients in ways never thought possible before. We are creating, developing, designing and implementing in ways that will change the digital landscape forever. Our Commercial Excellence & Experience strategy is to help clients define strategies, build brands, create experiences, and deliver platforms. 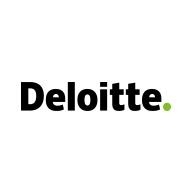 A Senior Manager at Deloitte works within an engagement team and is responsible for identifying business requirements, requirements management, functional design, prototyping, process design (including scenario design, flow mapping), testing, training, defining support procedures, leading work streams and supporting implementations. • Provide NetSuite consulting expertise utilizing industry experience, business analysis, best practices and a pragmatic mindset to facilitate clients’ most complex requirements. • Implement and deploy NetSuite solutions accommodating unique industry business and management processes, regulatory requirements and other business requirements. • Facilitate the development of Statements of Work for new and existing customers. • Architect, implement and deploy NetSuite solutions accommodating unique industry business and management processes, regulatory requirements and other business requirements. • Create functional requirements as an input to application design. • Build, develop and test detailed functional designs for business solution components and prototypes. • Drive test planning, execution, and optimization support. • Lead financial and accounting implementations including design of chart of accounts, distribution, invoicing, fixed asset management, and accounting processes such as Accounts Payable (A/P), Accounts Receivable (A/R), and Financial Reporting. • Supervise, mentor and develop junior consultants and business analysts on application and implementation methodology. • Conduct business process mapping and requirements gathering sessions with new customers to determine configuration requirements both on-site and remote. • Prepare Business Requirements and Technical Scoping Documents resulting from the above noted mapping sessions to provide proposed solutions for the requirements for customer approval. • Manage all aspects of the configuration process for the customer from configuration through to acceptance and sign-off. • Build, develop and test detailed scripted customized solutions and prototypes. • Troubleshoot issues that arise during configuration sessions. • Provide on-going post implementation support to optimize user adoption and NetSuite configuration. Our Commercial Excellence & Experience team focuses on designing and implementing sales and service experiences, capabilities, and architectures to bring customer strategies to life. Our ambition is to be the best in the world at driving customer transformation through the development of clever commercial strategies, distinctive experiences, and the application of digital technologies. We help make the “creative digital consultancy” real and in doing so, make new markets.